Ted Kaczynski was motivated by an anti-technology ideology to kill three people and injure twenty-three others. His primary method was to plant or send, through the United States Postal Service, homemade bombs to people with a pro-technology stance. Kaczynski was caught and sentenced to eight life sentences without the possibility of parole. He’s in solitary confinement for twenty-three hours a day in ADX Florence, a Supermax prison with one of the harshest prison environments in the world, one with conditions that arguably qualify as “cruel and unusual“. If given the privilege, prisoners at ADX Florence can shop at a commissary once a week and purchase a limited selection of items, such as food, personal hygiene products, stamps, etc. If Kaczynski is in a federal Supermax prison, there are spending caps for federal prisoners of a few hundred dollars per month. Further, inmates who are ordered by a judge to pay restitution, like Kaczynski, have much smaller limits, perhaps $25 a month. Most remuneration for his book would go to his victims. There’s also the issue that the purchases he can make are limited to buying deodorant and food at the prison commissary. The ethical question about his remuneration, when you consider the details, borders on the absurd. But, it’s one absurdity among many. In our society, there is a taboo on individual violence, and any list of serial killers largely points to criminal tendencies being transformed by mental illness into something monstrous. But, there’s something different when murder is committed in the service of an ideology. The language we use changes from serial killer to terrorist. While we use terms such as The War on Crime and The War on Drugs, serial killers are an anomaly. It is not a problem that requires war. But, we do have a War on Terror, and we are more than fifteen years into it. Let’s use a recent U.S. drone strike that killed at least fifteen people and injured another thirteen as a point of comparison. From an ethics based on rules or consequences, the drone operator has killed and injured more people than Ted Kaczynski. However, the drone operator will never be given a prison sentence. So, what is the justification for treating these two cases differently? In an article in The Guardian (linked above), one justification offered is based on intent. It justifies the deaths involved in the drone strike as an unfortunate by-product of the war against ISIS, or terrorism more generally, and as such, it is unintended “collateral damage”. Again, on the surface, this argument seems to have some merit. But, there is a better mental model for thinking about the difference than ordinary ethics. Is it necessary to their business? Morality, if it has a place, is used as a piece of public relations and managing public perception. But, it isn’t a major driver in decision-making, because morality is a cost, one that is rarely necessary above a minimal token threshold. At the level of an individual organization, just as with individuals, having a few behaving as psychopaths willing to transcend ethical and social boundaries might have a protective function to play in a society. Even if that is true, it is also easy to imagine that there is a tipping point, where as the number of psychopaths increases, their presence becomes harmful. The major organizations in our world operate using this model. Each organization functions as its own fiefdom, but the decision-making logic of reducing costs and increasing profits reigns everywhere. It is a Dark Monarchy, and it is the ideology of our age. A Hellfire missile costs $115,000. The condolence payments for the lives it took in this instance would likely be less than the cost of the missile itself. From the perspective of the U.S. military, drones are a powerful new and necessary weapon for their business. And the costs of using it are much cheaper than conventional weaponry and are becoming even less expensive. Lastly, the moral question can be reduced to a dollar value: up to $5,000 per death or injury in Afghanistan. By the logic of the Dark Monarchy, the costs are necessary and acceptable. One objection to this framing can be heard in a Radiolab episode, Our Condolences. This story provides the history behind condolence payments. These payments started with the use of Jeeps in World War I to address accidents from a new form of transport, and it focused on “non-combat” accidents. In the episode, an individual responsible for making condolence payments in Iraq, which were capped at $2,500, says that these payments did not represent the value of a life, but they were tokens and their real value was in providing an opportunity for someone in a U.S. military uniform to apologize, explain what happened, and hear what is said in return. The model of necessity and cost is particularly useful here because it allows us to see that the veneer of ethics can be useful and worth paying a small cost. The U.S. military does not have to make any condolence payments, and by making this effort, it buys goodwill. But, buying goodwill is not the same as living up to a moral code or acting ethically. Just as the claim that “collateral damage” is an unfortunate by-product of fighting ISIS and terrorism suggests that there is a higher good being pursued, these are good public relations techniques to obfuscate, placate and appease, but it isn’t ethical decision-making. It is a token pretending to be ethics. What about the Unabomber? What were the costs involved? The FBI investigation took 17 years and cost them $60 million to conduct. While new investigative techniques were developed during the Unabomber investigation, the FBI, no doubt, views most of the money spent as unnecessary cost. To prevent these kinds of costs in the future, it was necessary to make an example of him. In addition to receiving a life prison sentence in a Supermax prison, the judge in the case ordered Kaczynski to pay his victims restitution payments of $15 million dollars, or about $576,923 per death or injury. How does that compare to what the rates that federal, state and local governments in the United States pay, when they are responsible for death or injury? A rough comparison can be made using reparation packages offered by the U.S government for Japanese internment ($20,000 or $33,400 adjusted for inflation, total $1.6 billion) or the City of Chicago for torture victims of Jon Burge, a Chicago police Commander ($100,000 per person, total $100 million). This suggests U.S. valuations that are somewhere between five to twenty times the values in Afghanistan when U.S. government personnel are responsible for the death or injury of U.S. citizens. Or, we can look at it slightly differently. What fines does the U.S. government impose when its interests or U.S. citizens have been harmed by other organizations? A research paper suggests that when the U.S. Department of Justice (DoJ) prosecutes foreign firms, it tends to impose fines that are fourteen times higher than the fines it imposes on U.S. firms for the same offense. If these fines are a type of condolence payment demanded by the U.S. government when it has been harmed, then it suggests it has a fairly consistent way of looking at foreign and domestic value. If harm from foreign actors is handicapped as fourteen times the harm of domestic agents, then it explains the U.S. government focus on Islamic and other forms of foreign terrorism over domestic terrorism, even if the latter are the greater risk. Condolence payments and fines are unusual, and as the $1.6 billion for Japanese internment or the settlement costs for misconduct by Chicago police from 2004 to early 2016 of $662 million indicate, they can become significant. But, sometimes they are necessary. Paying these settlements may also be the cheapest alternative. Cases in which sworn law enforcement officers act as criminals—whether dealing drugs, or driving drunk, or sexually molesting a vulnerable citizen—strike a direct blow to the law enforcement enterprise and…threaten to undermine public trust in both the authority and legitimacy of state and local law enforcement organizations…The contrast between the [topic of police crime’s] substantive weight and comparatively light coverage within the scholarship is mostly due to an absence of suitable data. The traditional sources of data and methods of study, whether official statistics, self-report surveys, or direct observations, either do not exist in any usable format or are ill-equipped to identify, count, or provide the basis for empirical analyses of instances in which police perpetrate crimes themselves. First, the authors of this study are using an ethical framework for interpretation. Their study’s recommendation contains a number of ethical statements about what “should” be the case, but isn’t. The question of why reality is so far from the truth or the possibility that ethics are irrelevant is not considered. Second, data for an empirical analyses would be the source of a great deal of additional cost, which is why it doesn’t exist and the researchers had to make a proxy for it using Google News articles. Unfortunately, the conclusion that “police are not committing crimes at anywhere near the level of civilians” is not logically supported by the evidence provided. The conclusion the evidence supports is that police officers are much less likely to be arrested than the general population. It is likely that police officers commit crimes less frequently than the general population. Also, the study methodology is surely missing instances because of the deficiencies in their keyword search, the inherent limits of what gets published in newspapers and the limits of Google’s list of sources. But, these factors do not explain the magnitude of difference in arrest rate ratio of 1.7/3,888. However, this is not a possible observation to make when there is no data on police arrests, which is precisely why it doesn’t exist. Data negative spaces are useful red flags indicating where costs have trumped concerns for transparency and ethical accountability. Suppose that police officers are 95% less likely to commit crimes than the general population. We would expect arrest rates of 194.4 per 100,000 police officers. Or two levels of magnitude higher than reported in this study. What kind of oversight regime would need to be instituted to watch the watchmen? And how much would that cost? For the City of Chicago, the amortized annual cost of settlements of $55 million must be less than the perceived benefit of investing in more police oversight, particularly if doing so might uncover problems such as criminal police conspiracies and undermine the Police Department’s “narrative control“. While concerns about legitimacy can play a part, it’s a small part. The end result is that police officers, like drone pilots, are subject to a different legal and ethical standard than the one applied to the general population. And this is not just true of people employed by government, these different standards are also for people working in large corporations as well. When you look at something such as the Libor scandal, where major banks colluded to make their balance sheets look stronger and defraud U.S. municipalities and home owners of billions of dollars, thirteen men were prosecuted, and five people were convicted in the United Kingdom. While this case is still unfolding, it suggests that line workers and officers, such as traders or senior bankers, can face prosecution — if the scandal is big enough relative to their organization. But, relative to the frequency fraud is committed, arrests are extremely rare, and in the case of an arrest, more than half of those do not make it to a conviction. And, criminal arrest rarely makes it up to the executive suite. At that level, it becomes an organizational crime punishable by fines and executives being forced out of their positions. Barclays, the financial organization, recieved a misconduct fine of $160 million for its part in the Libor scandal, and the repercussions severely impacted its business. The CEO of Barclays at the time, Bob Diamond, stepped down from his post and started a company providing financial services in Africa, and in an interview, he describes his current activities as his having “found the perfect intersection of doing good and doing well.” Again, we see ethics being used as a cover, when the history of the person involved suggests that “doing well” is what matters. And it’s not just Bob Diamond. Any CEO considering some illegal action with the same type of risk/reward profile that Libor presented has powerful incentives to choose the illegal action. In the end, if the profit is worth the consequences, it’s done. The financial crisis of 2008 provides another useful example. The Department of Justice does not keep statistics on convictions related to the crisis, so it is difficult to say how many arrests and convictions occurred. Again, it is an example of not collecting data in order to avoid informed discussion and transparency of the consequences of committing systemic fraud. Despite this lack of information, we can say that the only one senior executive at a top bank to be convicted was Kareem Serageldin. None of the CEOs or C-level executives of the major banks that precipitated the crisis faced criminal charges. A few CEOs in the banking industry were convicted and given prison sentences. Edward Woodword, former CEO of Commonwealth Bank, is a good example. He made the mistake of approving loans outside of his bank’s normal oversight channels that personally benefited friends and family members, and subsequently, he tried to hide his fraud in the bank’s books using TARP money from the U.S. federal government. If he had used the funds of a smaller organization rather than the feds, like Barclays and other banks involved in the Libor scandal did, and if he had limited himself to acceptable types and levels of personal profit, in the form of bonuses and stock options, he wouldn’t have been prosecuted. In the end, he become one of those rare examples where a CEO is sentenced like a common criminal. This pattern is consistent. If a single company causes an environmental catastrophe, such as BP and Deepwater Horizon, the company pays settlements and fines. But, no one goes to jail. A more general problem, such as global warming, is very difficult to address at all, because climate change is all cost from the perspective of the organization, one that would require oil & gas companies to change their business models. It might also require a significant change in the general quality of life of individuals. That’s a choice that won’t be made until it is an obvious existential risk, and maybe not even then. Same is true of systemic financial fraud. If a single company such as Barclays commits the fraud, fines will be paid, a few lower level employees that implemented the policies will go to jail, there may be some company level and perhaps regulatory changes instituted, but the general conditions will remain the same. A more general problem of fraud, like the one that drove the 2008 financial crisis, cannot be addressed because it requires systemic changes that puts other values — such as stability, transparency or trust — above cutting costs and increasing profits. And even though we do not typically think of governments running as businesses, the same logic applies. Profit motives drive individual police departments to prey on their populations, like in the City of Ferguson. Or, it might be a softer brand of corruption, where cities choose to ignore police crimes and pay settlements rather than pay the increased costs of oversight and losing “narrative control” that comes with informed discussion. 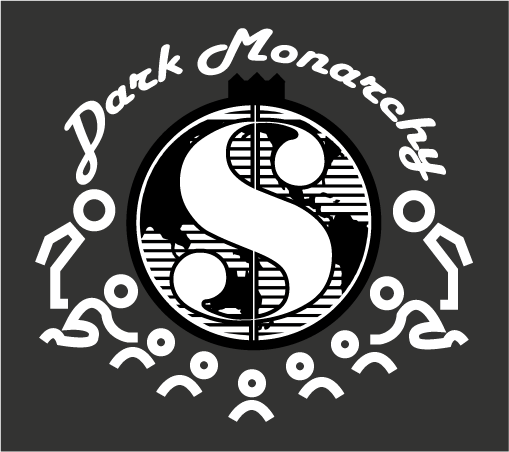 This corruption of ethics and the primacy of cost and profit as the principle value is the existential threat that the Dark Monarchy presents to our society. Striping out ethics has intangible costs that are not factored into to the decisions made by our largest organizations. These undermine the intangible qualities of trust, legitimacy and so forth that the system relies upon to function. And while there is some understanding that the myopic focus of business on the next quarter and on immediate profits has a negative impact on the long term health of individual companies, how many companies are managed to mitigate those risks? Relatively few, because it means lower profits. It is rare to see discussion of the systemic risk that the focus on the quantifiable and the profitable imparts to the whole system. It’s even more rare to see a frank discussion of whether any ethic, beyond mere tokens, is relevant at all. And to bring this meditation full circle and return to Kaczynski and his anti-technology stance, what are the likely consequences of our expanding technological capability, when it is used in the service of the Dark Monarchy? Of course, lip service will be given to maintaining standards of ethical behavior. But, ultimately, what happens to those standards when the incentives are to focus on profit and ethics are viewed as unnecessary costs, possibly slowing down the rate of progress? We already know what kind of decisions organizations make when the catalyst of technology gives them new capabilities, such as firing missiles from remote-controlled drones from half-a-world away, drilling or fracking for previously unaccessible energy resources, city-wide networks of closed-circuit television, arming robots and so forth. What happens when CRISPR moves on from fixing birth defects to offering the capability to design a human being to a specification, such as one optimized for physical labor, space exploration, etc. before they have even been born or have self-awareness? What happens when surveillance capabilities can provide real-time tracking of the locations, activities and thoughts of 99% of the population? What happens when the goodwill value of condolence payments aren’t $5,000, but $5? And when do these decisions turn from being just good business to the business of manufacturing monsters, where the cost of doing business is Supermax prisons, desertification, and the turning of every technological tool toward population pacification to prop up a system with few redeeming values beyond profit? Kaczynski is the canary in the coal mine. While his focus was on how the Dark Monarchy will logically evolve as the technological tools used in its service get increasingly sophisticated, the continued concentration on money as a central value and the ability to marginalize other values will radicalize anyone who sufficiently values something else. And, the tighter the grip, the more extremism will be created. In a world where more decisions and products are made by machines, where limited resources drive war and creates large refugee populations, and as more people concentrate in cities, it doesn’t require much imagination to think that this philosophy could become very real. At some point, it will move beyond serial killing and Supermax prisons and be a war. The ideology will be other values, and the people still thinking in terms of ethics and monstrous behavior will have a hard time drawing a distinction between Frankenstein and Frankenstein’s monster. Who is who will likely be subjectively determined by who is providing the next meal. And, perhaps, at some point, we will come to realize that we are the monsters, all of us. ‹ PreviousGet Your Own Show!